Short cold days, long dark nights, what’s a girl to do to stay in good spirits? To prepare for Winter, I myself start with the flu jab and a stock up of Vitamin C to avoid any unnecessary bouts of illness. Then I reassess my beauty routine for changes that will benefit my skin in really simple ways that take little time. Sure, it’s nice to have a few hours to really treat the skin and enjoy some spa ideas in the comfort of your own bathroom, but on other days you need effective beauty that takes only moments to make a difference. Great skin care starts with cleansing. If dry skin is an issue in Winter, make sure to use a cleansing product that suits. A cleansing oil is ideal for all the family, it keeps skin clean but also moisturised. Eucerin AtoControl Bath & Shower Oil suits adults and children (over 3 months) and has over 50% of oils for skin that feels comforted and silky, €15.99. Perfect for when you haven’t time for body lotion afterwards, or if a family member suffers itching and very dry skin. As pleasant as a facial is, it isn’t always possible to spend 30 minutes on your skin when there’s so much else to do at home. Which is why a super speedy, effective treatment mask is the perfect choice. Natural range REN has lots of mask options that exfoliate and brighten skin immediately, but it’s Flash Rinse 1 Minute Facial is a 60 second skin boost. Using water-soluble Vitamin C, it gives the skin instant radiance, dispelling tired and dull looking skin, €38. Apply after cleansing, dampen the fingertips and massage to activate the Vitamin C. Use every 3 days or as suits for brighter skin all Winter. And so to sleep, the top time to get skin in better condition and looking fresh in the morning. Clean and relaxed, skin is open to all manner of great ingredients that have all night to get working. Sleep masks are the new beauty must-have, cream masks that mop up the day’s damage and revive tired skin without messing up your pillow. 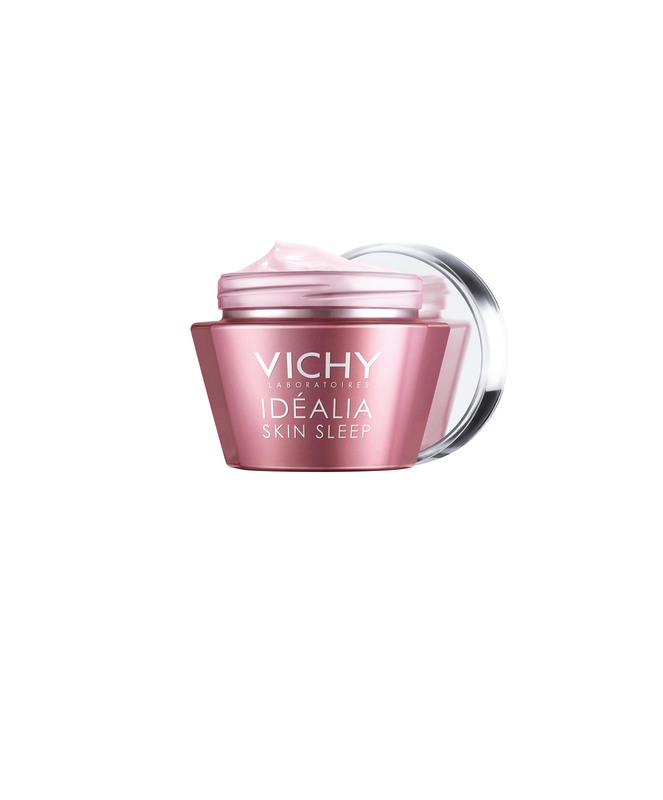 Vichy’s Idealia Skin Sleep is leading the charge on masks, they promise results in as little as 8 days, €28/50ml. Last but not least, one final treat before bed, for your hands and feet. It takes a mere 15 seconds to pop on a little nourishing cream that hydrates, softens and keeps skin healthy. 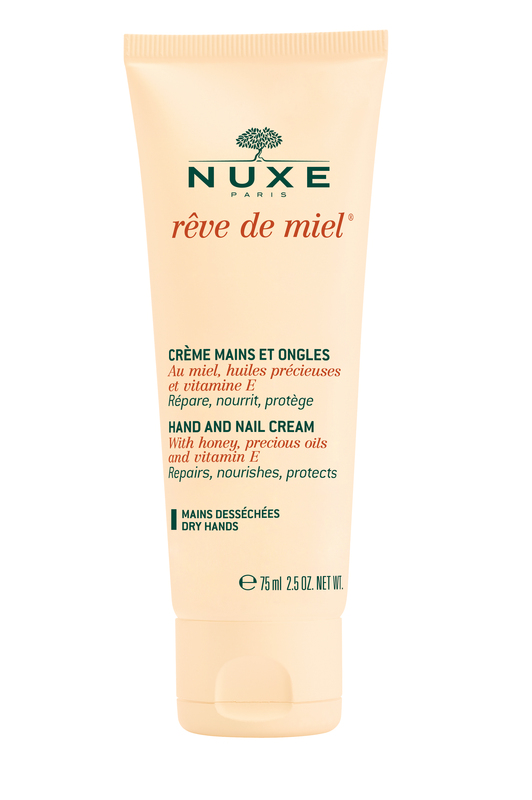 Hand and Nail Cream Reve de Miel by Nuxe (€12.75) is a honey-enriched, silky moisturising layer that nourishes intensely. A quick layer just before slipping under your duvet guarantees smooth hands and feet come morning, it also smells like heaven, sweet dreams! Deal of the Week- Don’t miss out, in your local LloydsPharmacy from the 8th-14th there’s 50% selected Baylis & Harding Weekend Bags filled with gorgeous beauty, RRP €40, save €20 for just this week at your local LloydsPharmacy. There are lots of ways to keep up to date with the sensational offers and super deals on offer at LloydsPharmacy. There is your local store, here on www.lloydspharmacy.ie, over on Facebook at LloydsPharmacyIreland, and on Twitter @LloydsPharmIre. And is it worth it to click, like, retweet or share your LloydsPharmacy best buys? Well, here are a few of July’s offers, you decide. Skin care is important to us all and this month at LloydsPharmacy there are free gifts with purchase and savings. From French thermal water brand Avene there is 25% off favourite lines. Staying with Gallic beauty Vichy are gifting a Purete Thermale One-Step Cleanser 100ml with a purchase from a selection of products from Aqualia range*. Aqualia is Vichy’s hydration-packed skin routine for dehydrated skin. As it’s Summer we can all use extra moisture in our day, quench your skin’s thirst with some moisturiser or a refreshing masque. Skipping across the globe to New Zealand, LloydsPharmacy brings you far-flung beauty from Trilogy. This month get a bonus Vital Moisturiser (25ml) when you pick up the Rosapene Night Cream, €29.95/60ml*. The savings don’t stop with skin care, it’s July, let’s hope the sun will put his hat on and give us some sunshine! And we can be ready for him with half price deals on sun care from Ambre Solaire and Nivea. Even if the weather isn’t so great we can still have gorgeous golden limbs with half price on Nivea for face, body and hands, and Sally Hansen Airbrush Legs. Moisturise first with Nivea and add the fabulous tan, it’s easier to fake it than bake it. Offering both great skin and sun care this July is La Roche Posay, their free gift set with 5 popular products is yours when you buy two products from the range, one to be moisturiser*. The set is perfect for traveling and trying new products, and the gift is to celebrate La Roche Posay’s sponsorship programme You Care, We Share, which is specifically to care for the most sensitive skin there is, children’s. Get involved in the fund raising activity online. Take a Selfie with your favourite La Roche Posay product, upload it to www.laroche-posay.ie/yousharewecare with a few words on why you like it. Tag it with #yousharewecare and for the first 10,000 selfies La Roche Posay they will donate €1 per Selfie to Temple Street Children’s Hospital. Now that’s a good reason for a Summer Selfie, let’s get snapping for Temple Street! *Offer available in select stores only. There’s a lot of great beauty to celebrate this month at LloydsPharmacy. Firstly some news, French cult beauty brand Bioderma is finally arriving. This super brand has excellent skin care for all skin types including rosacea, acne-prone and very dry skin. Their sun care is divine, dry oils with high factors and face care that is formulated by skin type. But it’s Sensibio H2O is what you need to check out. This Micellar water is the makeup cleanser of choice for the fashion crowd and celebrities, and it’s a free gift at LloydsPharmacy from June 8th – 23rd with purchase of other Bioderma products (T&C’s apply, selected stores only). Staying with leading French beauty, we are being spoiled this month with free gifts from LloydsPharmacy. When you buy 2 products from Vichy (1 to be moisturiser, selected ranges) you will receive Your Ideal Vichy Routine, a box of skin care tailored to your skin’s needs in sizes perfect for traveling. And from NUXE, buy 2 products (1 to be moisturiser) and you will be gifted a free Creme Fraiche Mask (hydrating, soothing, gorgeous) and a Reve De Miel Hand Cream, a honey-enriched moisturising hand cream that is just heavenly. Skipping across to New Zealand, as you do, Trilogy’s new limited edition size Rosehip Oil Antioxidant+ will be your skin saver for the rest of the year. This incredible skin treat offers all kinds of benefits for skin of any age, but dry or mature skin will really enjoy. It also has a large dose of antioxidants included. These fight of free radical damage from the environment, a contributor to ageing and best avoided. The new size is half the original at 15ml, and half the price at €16.48. It does however retain full power, go Trilogy! Not forgetting body care, if your bathroom needs restocking Aveeno is discounted by 33%, there’s Raw Virgin Coconut Oil for €9.99 (500ml, saving €6.86) and from Dove, Simple, Tresemme and Listerine, lots of staples for just €2 each. Welcome to our Summer Salon here at LloydsPharmacy. We have all your sunshine needs, and everything else you need for smoother skin to get you beach ready. Starting with hair removal there are super savings from Gillette this month with select Venus and Satin Care shaving products at half price. As it is sandal season getting your feet in tip top condition is a must. From Scholl the foot solution brand, select products with 25% off this month, including the Fungal Nail Treatment and Velvet Smooth Express Pedi. This device is so easy to use, a skin-buffing roller speeds across rough heels and calluses, removing hard skin in minutes. It’s also small enough to pack away for holidays for maintenance. Best feet on the beach, we will enjoy that feeling. And the love for your legs doesn’t end there, what of last-minute sunshine here in Ireland, an emergency BBQ to attend? It’s almost as if Airbrush Legs Instant Tan was created with an Irish Summer in mind; immediate tanning for pure white legs and arms, with a little extra coverage for any marks or blemishes. It’s even water-resistant and non-transferable, perfect for when the rain halts play mid-burger. Pick up your Sally Hansen Value Can this month for €9.35, a saving of €4.60. It is 193.8mls, that covers every BBQ until next year! Whether it’s a vacation or stay-cation you will have this Summer, don’t forget to pick up your sun care essentials at LloydsPharmacy. With brands like Vichy and La Roche Posay, NUXE and Clarins you will be spoiled for choice in oils, lotions and after suns. Talk to your local LloydsPharmacy staff about SPF’s and the best choice of factors for you and your family, they will steer you in the right direction. Even if you have no definite holiday plans the sun might shine hopefully, pop Nivea’s Summer Essentials Minis Set on your next shopping list for LloydsPharmacy. In it you’ll find a pocket-sized SPF 30 sun lotion, SPF 30 lip balm, body wash and hand cream, perfect for an afternoon lazing in the back garden enjoying some rays, €12.99. Proper cleansing benefits the skin in a number of ways, it removes makeup, oil and whatever pollution from the air around us. It also helps keep the skin clear of dead skin cells, that otherwise build up leaving the skin looking dull and feeling rough in texture. It doesn’t need to be a complex routine neither, but correct cleansing will get you a smoother, brighter complexion. If you are a fan of wipes, try a Micellar Water instead. These are gentle but effective, alcohol-free and will lift away dead cells. NUXE Micellar Water for eyes, face and lips has actives from Damascena Rose that soothes as it cleanses, skin will feel totally cleansed, €15.50. To use, apply to a LloydsPharmacy Square Cotton Wool Pad, €1.49/70 pads. If you prefer a regular cleansing lotion but have sensitive or intolerant skin, look to the Physiological range from La Roche Posay. From a collection of cleansers for eyes and face designed specifically for super sensitivity, the Cleansing Milk will gently remove all traces of makeup and daily grime without causing any irritation, €15.99. With such effective cleansing it’s unlikely you need a toner which is used for removing the end of the cleanser, but a spritz of refreshing and healing lotion adds another layer of hydration to the skin that is instantly absorbed. A Thermal Water is ideal, not only for this stage of your routine but also to soothe and calm the face and neck during the day. If hot flushes are an issue, keep it chilled in the fridge and use as necessary. This mineral-rich water helps the skin, unlike tap water which is actually dehydrating. Choose Avene Thermal Water in 50ml so you can pop it in your handbag, €4. Once skin is clean and ready for nourishment, choose the best moisturiser you can to reinforce and strengthen it. Vichy’s new LiftActiv Supreme was created for 40+ skin and promises to keep your glow vibrant all day long. With one version for dry/very dry skin, and another for normal/combination skin pick the one best suited to you, €32.50. For 40/50+ skin that wants a little more in terms of routine, don’t miss this month’s extra special deal at LloydsPharmacy. The Clarins Double Serum Premium Value Set contains a 30ml of award-winning Double Serum, an oil and serum duo that boost ageing skin. Gentle Refiner (30ml) is a superb exfoliator that you can add to your cleansing routine 1-2 weekly for even smoother skin, and Beauty Flash Balm (10ml) is the skin-saviour everyone loves, it firms and tightens in moments. Yours for just €69.50. Mark the date in your diary, March 15th is Mother’s Day, a time to treat that special lady in your life. Mums usually spend all of their time taking care of everyone else, so it’s nice to return the favour, even if it is for just one day a year! So get your card ready and consider a little gift to go with it. If Mum loves fragrance there’s plenty on offer for the month of March. Standout scents, DKNY Woman 50ml and Chopard Wish For Her 30ml both offer incredible savings. For DKNY Woman, save 60% this month as the original price of €52 is reduced to €19.99. Chopard is also €19.99, a fantastic reduction from the usual price, €32. If your budget is less than €20, check out Halle Berry Pure Orchid For Her (100ml), €14.95, a super size for a super price. And if €10 is your limit, Kylie Darling (30ml) is reduced from €23.95 to only €9.99, you really can’t beat that value. Maybe Mum would prefer something different this Mother’s Day? Your local LloydsPharmacy is the place to head to, or stay sitting on the sofa and click through to our homepage to see what great offers are available this month. And each week too, there’s a must-have item chosen for every week that won’t break the bank. Starting in March is a 40% on Aveeno Hand Cream, €3.15. The following week it’s 40% off Scholl Velvet Smooth Express Pedi, a bargain for this Summer sandal must-have, now €29.99, (March 5th-11th). And if you are shopping last minute for Mother’s Day, Oscar de la Renta So (100ml) is reduced from €37.50 to €19.99 from the 12th until the 18th, so it’s worth checking out the weekly deals regularly. The great deals in March extend to many skincare ranges that Mum would love. There’s 3 for 2 on super brands like Avene, NUXE, Trilogy, Caudalie, REN and Vichy. The LloydsPharmacy staff are knowledgeable on all brands and can advise on which products to choose for Mum, or you might like to pick from favourites you know she likes. And don’t miss the limited edition offer from Clarins that LloydsPharmacy have this month at selected stores. While stocks last you can pick up a Cleanser and Toner Duo that are 400ml in size. The saving on these duos are as big as the bottles themselves, they usual cost €52 for both, now you will spend just €45, that’s €17 less! Because your Mum is the best in the world you would like her to have lots of beautiful treats for Mother’s Day, of course you would. So, go in store and online to find out details on how you can win a super selection of fabulous gifts from your local LloydsPharmacy. That would make it an extra special day, but you have to be in to win. Love you Mum.